NCheng LLP was founded in 1989 in New York City. Our practice is dedicated entirely to serve the not-for profit community and we have achieved broad recognition and reputation for our high quality professional services. We provide a full range of services in audits, accounting and financial management support to a diversified client base. Our experience and professional resources have been tailored through the years to assist our not-for-profit clients to achieve their goals. Our mission is to help our clients achieve theirs – and to help them grow and succeed in the long term through sound, strategic management decisions. 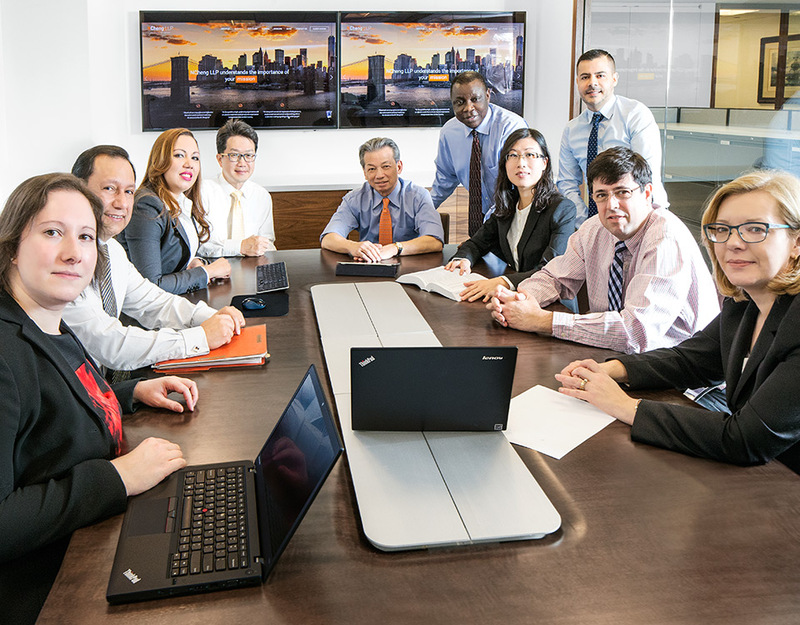 NCheng LLP's continued success - our ability to maintain long-term relationships with clients and retain experienced staff - is a direct product of our core values. 01 INTEGRITY Beyond the words themselves, our professional standards and actions are geared to provide our clients with the highest level of professional service. 02 COLLABORATION Our leadership, management, and professional teams work in a cooperative, synergistic environment, drawing on each other’s strengths and diversity. 03 STABILITY The stable relationships within our firm are a large part of our core values. Our team has a structure which provides a stable workplace environment, with little turnover. This enables us to put our best professionals with diverse experience and skills to work together to provide high quality services to our clients. NCheng LLP adheres to the highest professional standards in the accounting profession. We are members of the American Institute of Certified Public Accountants (AICPA), the Governmental Audit Quality Center (GAQC), and the New York State Society of Certified Public Accountants (NYSSCPA). Our professional staff regularly receives continuing professional education as required by the New York State Education Department (NYSED). The firm participates in the AICPA Peer Review program and we received an unmodified opinion – the highest rating, in our recent peer review. For more information about NCheng LLP’s industry and professional certifications, please contact us below.